What would William Conqueror make of the New Forest today? In 1079 from his capital in Winchester, William established the New Forest by royal decree, as his hunting grounds. Fast forward nearly a millennium and William would still recognise the idyllic glades, babbling chalk streams, ancient woodland and heathland: magnificent terrain for his favourite pastime of hunting deer. Currently, the wildlife is so prolific that there are fears of overgrazing. William would have been prompted to mount his favourite steed once more. As William cantered down Ornamental Drive, the grand avenue leading to Rhinefield House Hotel, he would have been impressed by the inspired 19th-century planting – colourful azalea and rhododendron amongst the towering redwood trees. 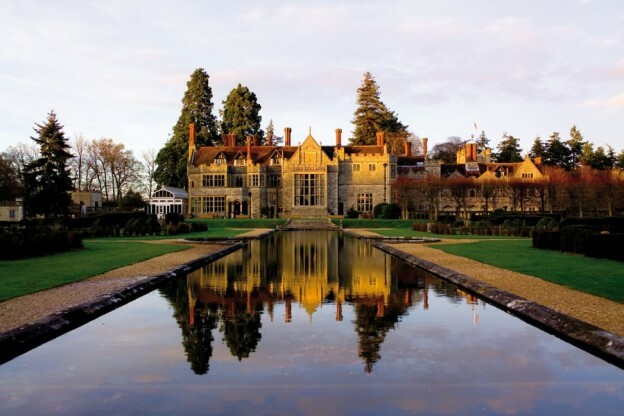 Mabel Walker-Munro had Rhinefield House built back in 1887. Although Mabel was the owner of Eastwood Colliery in Nottinghamshire, she clearly preferred a laissez-faire management style based in distant Hampshire. Moreover, she was keen to distance herself from the grimy Industrial Revolution, nostalgically instructing her architect to look to Britain’s golden past for inspiration. Crenellated turrets, multiple chimneys and Gothic towers: it is an eye-catching creation from the Hampton-Court-meets-Hogwarts school of architecture. Then there are views fit for a king across the Italianate formal gardens with their fountains and thence onto yet more forest. Sitting down to dinner, William would have recognised much of a menu that is truly regional and probably deserves more than its two AA Rosettes. Such is the quality that foodies may well be drawn to Rhinefield for the restaurants alone. The hake has journeyed afar from Brixham and the seared scallops have made it all the way from Lyme Bay but otherwise, most of the ingredients have few Food Miles on the clock. For starters, there are veal sweetbreads and wood pigeon amongst several options. Though the Conqueror may have raised a Norman eyebrow at some of the more modern flourishes. The guinea fowl terrine comes with a Rhinefield Ale piquant pickled onion whilst the roast parsnip soup has an exotic flavour with a light touch of coconut and lime. “What’s a coconut?” William may well have asked. Similarly, the main courses commit to a regional theme – and with flair. A succulent loin of venison works wonderfully well with roast beetroot. 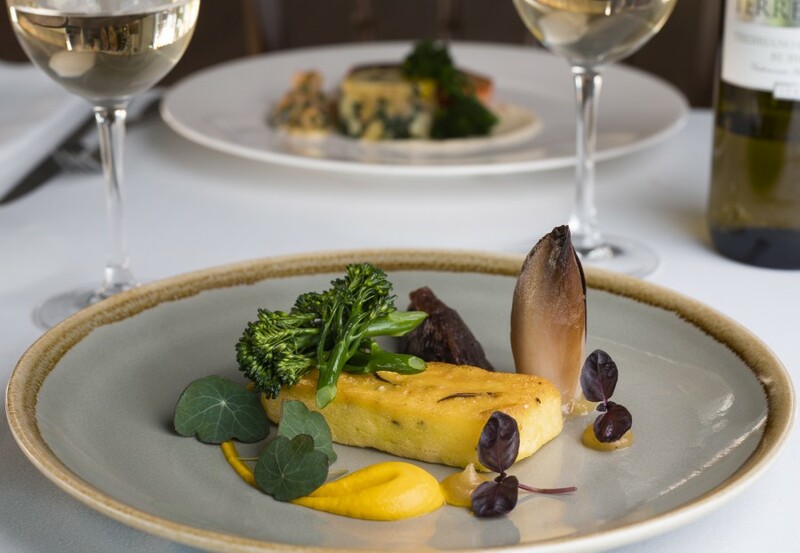 Squash purée accentuates the gentle flavours of a locally caught wild rabbit – and the age-old staple of winter vegetable broth is reinvigorated with a gourmet approach. Vegetarians are also well-served by pumpkin ravioli or truffle polenta. Not that William was likely to have had any truck with that trio: real Norman kings didn’t eat ravioli or polenta. 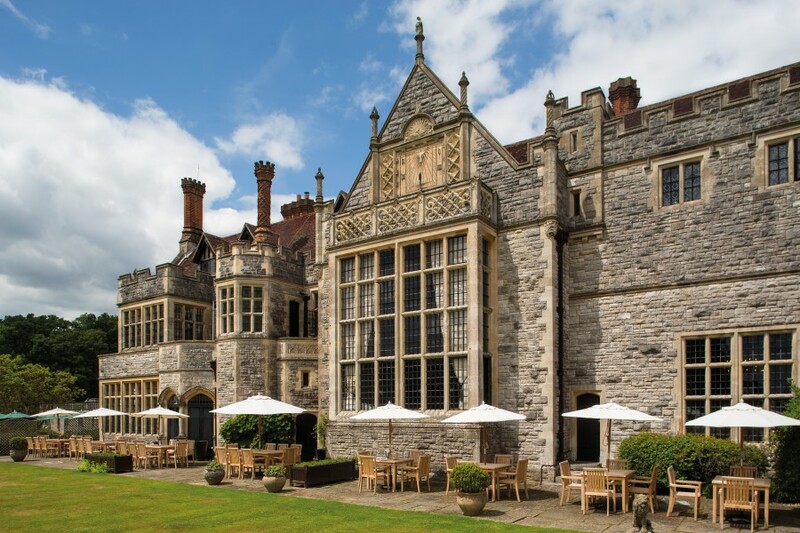 Rhinefield House Hotel’s dining rooms are the jewels in the crown. The Alhambra, a small intensely ornate room is the smaller of the two and ideal for private dining. Copper, mosaics, Persian Onyx and Venetian glass create a sense of indulgent decadence, that pays tribute to the Islamic Palace in Granada. 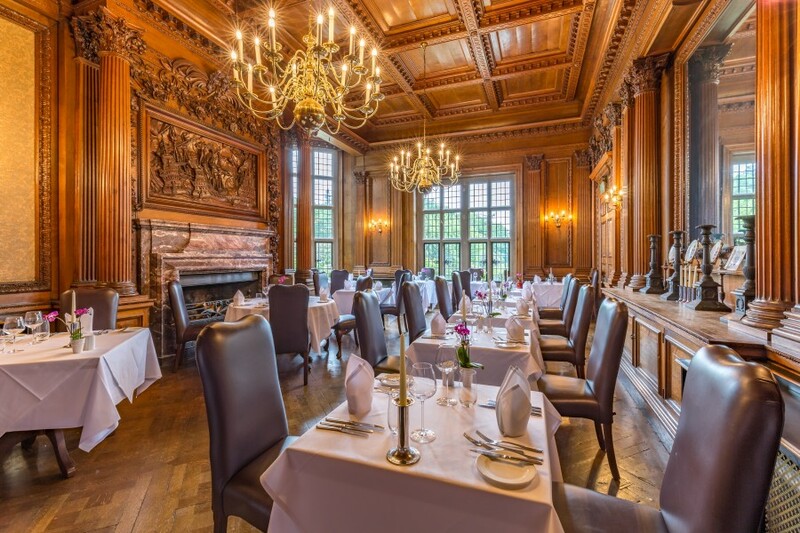 Whilst the Armada dining room is much larger, it takes its name from a dark wood Aumonnier-carved Armada frieze above a vast fireplace that celebrates the epic defeat of the Spanish Navy in 1588. 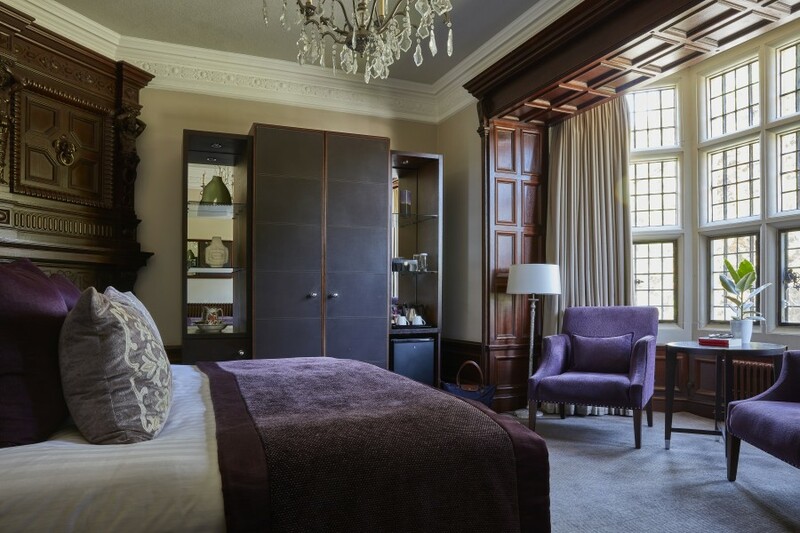 After spells as an aristocratic home and a school, Rhinefield has been reinvented as a country hotel. There are two suites in the main house and just 48 rooms in a low-rise west-wing. Externally it replicates the style of the main house but internally it is air-conditioned mod-cons. Small has its advantages. 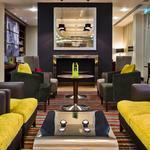 Breakfasts are cooked to order, the lounge/bar is very spacious and service is particularly prompt. 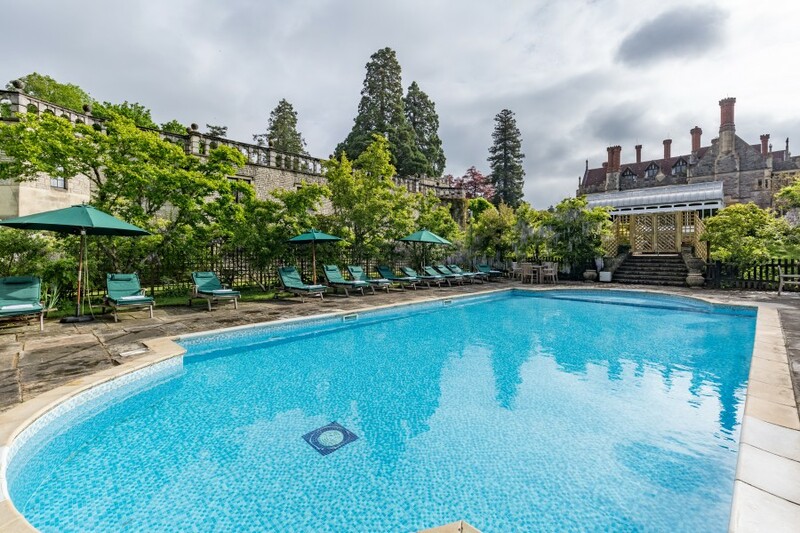 Although I visited in the depths of winter you can imagine summer guests finding their oasis of tranquillity be it at the indoor pool, the spa, croquet on the lawn, the outdoor pool, on the tennis court and taking al fresco afternoon tea. 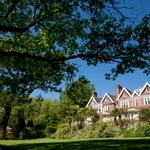 Additionally, in the heart of the New Forest, you can either take a stroll or hire bikes. And how would William have found the rooms? Each is named after a local village and has a calming colour palette of browns and greens which invite the forest into the hotel. Beds are larger than king size and regally comfortable. Even though you’ll lose signal whilst sat-navigating to Rhinefield the Wi-fi is strong enough to catch up with the outside world. But this is a peaceful haven, an idyllic escape, where it’s probably just best to digitally detox and relax. 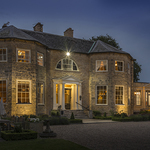 Rooms from around £120 per night including breakfast. In the Armada Restaurant starters range from £7.50 to £13.50, main meals from £17 to £28 with deserts averaging around £8 per option.